Super high end racing model for cross country racing, available in 26", 27.5" and 29". 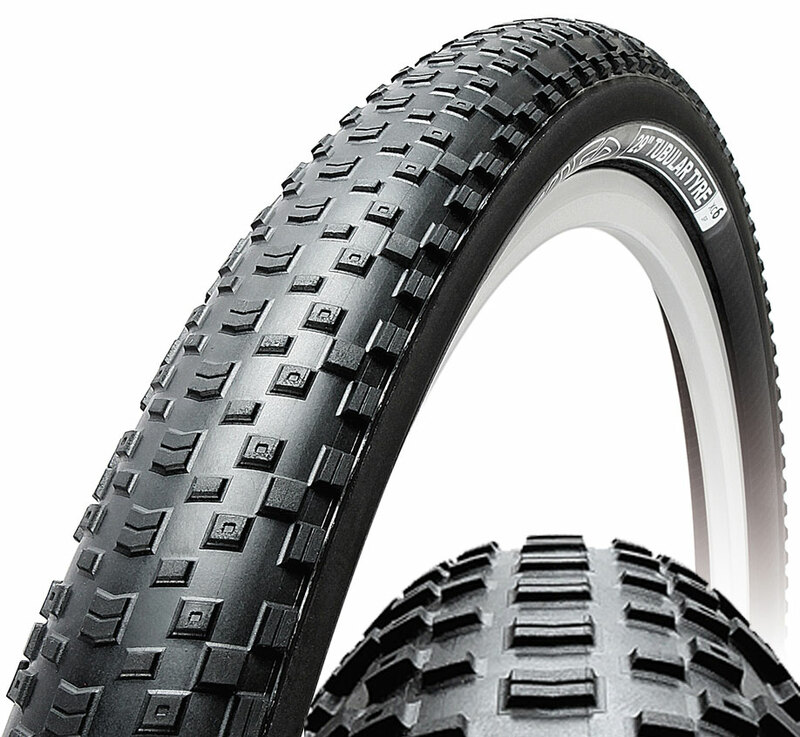 The universal tread pattern is very effective for climbing and acceleration, provides excellent cornering and a safe controllable ride in all types of terrain, except very deep mud. Tubular construction with extremely low weight makes the ride fast, dynamic and light, with amazing acceleration, so far not achieved by any other tyre. Weights: 26" 465 grams, 27.5" 480 grams, 29" 515 grams. Sidewall protection SP optional, adds 30 grams to overall weight. No snake bites! Supplied with extreme gluing tape. Cross Country and Marathon tubular. 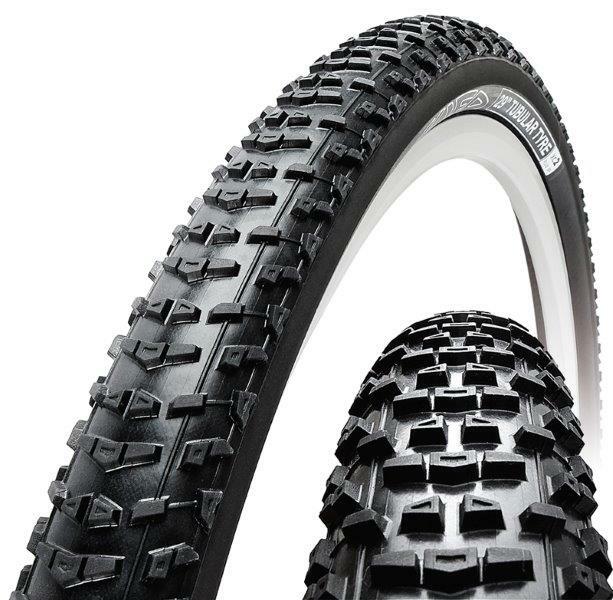 Wider tyre at 2.20" with universal tread pattern for hard pack and rocky terrain. Very good shock absorption, a sure footed ride and excellent puncture resistance even at very low tyre pressures. Ride on the edge with this tyre model. Weights: 26" 560 grams, 29" 610 grams. Sidewall protection SP. No snake bites! Supplied with extreme gluing tape. 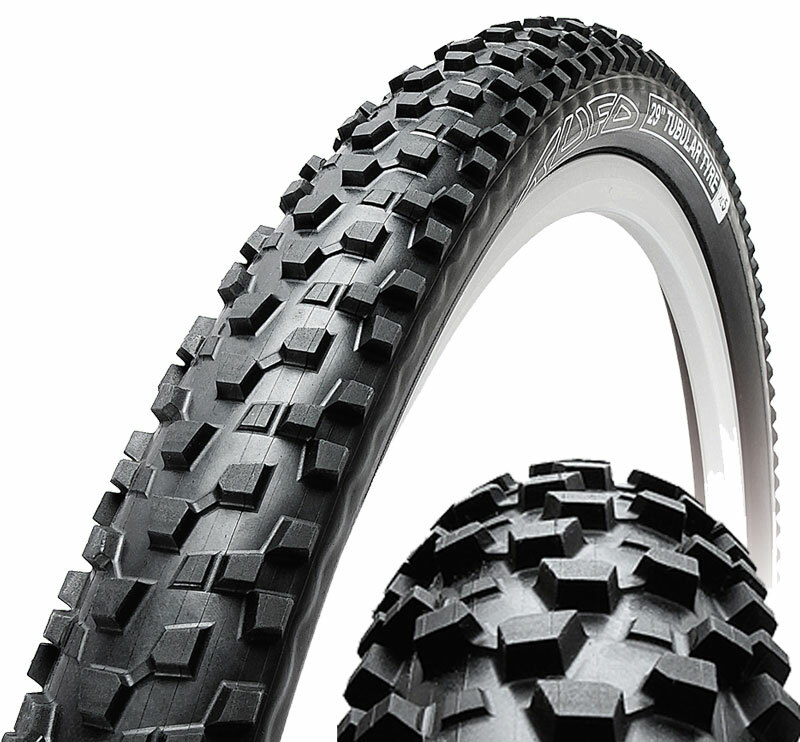 This ATB tubular is designed to run on all types of terrain, especially in muddy conditions. The unique new self-cleaning tread pattern ensures excellent traction. Suitable for highly demanding, aggressive terrain where you need the tyre to hold you. Specially shaped side knobs provide stable cornering. Weights: 27.5" 560 grams, 29" 595 grams. A tubular tyre for dry and hard pack surfaces. The specially designed low profile knobs make the ride dynamic, fast and light at the same time. The knob layout will perfectly hold either on a road surface or on dirt and will not let you down while cornering. 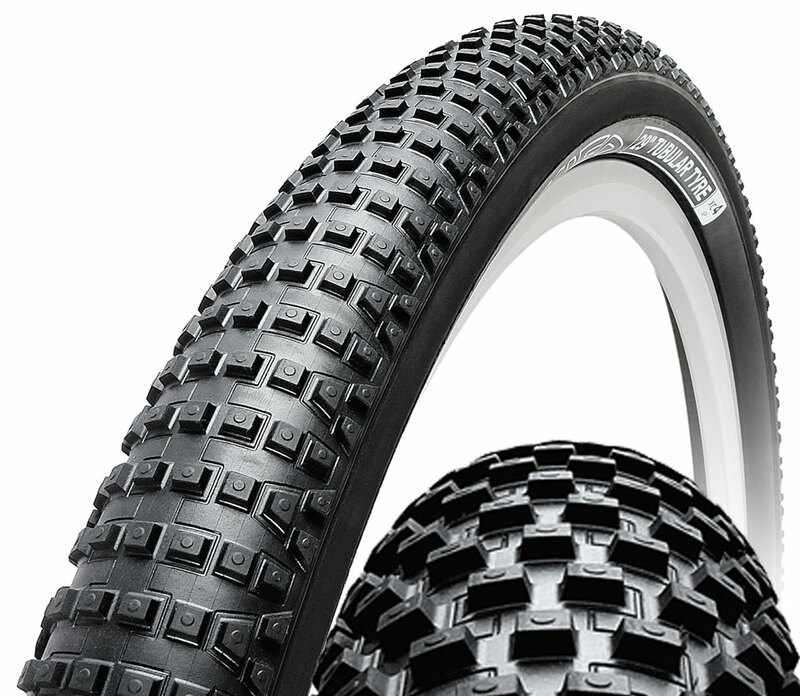 Advanced and technically skilled riders can use this tyre in rougher terrain conditions. Weights: 27.5" 580 grams, 29" 610 grams.